Around one in 12 properties currently available on the rental market could become un-rentable by 2018 if government energy efficiency plans go ahead, a firm claims. From April 1 2018 planned new legislation would make it unlawful to rent a property with a poor energy efficiency rating. 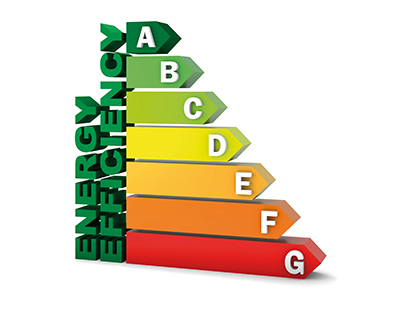 Properties are currently graded from A to G depending on their energy efficiency. Any property being rented out in the private rental sector would require a minimum energy performance rating of E on an Energy Performance Certificate. According to data released by Quick Move Now, around eight per cent of homes available on the rental property market currently fall below the minimum energy efficiency requirements proposed. “According to the Royal Institution of Chartered Surveyors, the number of UK households renting property rose from 2.3m in 2001 to 5.4m in 2014. RICS predicts that this figure will rise again by a further 1.8m before 2025 and suggests that the UK is facing a critical shortage of rental properties” claims Danny Luke, Quick Move Now's managing director. “Losing around eight per cent of rental properties would cripple the rental market. For the proposed new legislation to be workable, a great deal of thought will need to go into how landlords can be supported to make the necessary changes...especially in light of the government's decision to stop funding Green Deal improvements” he adds. Earlier this year some trade bodies requested the deadlines for introducing the new energy efficiency guidelines should be delayed, but this has been resisted by government. Is this another stealth way of hitting private landlord's by H M Gov? Hang on. Why the complaints? Band E is nothing exciting, its basically a band G house with a door that shuts properly isn't it? A house to a landlord is a home to someone else who is probably struggling to pay the heating bills as it is. We (landlords and agents) are rewarded for offering a quality service through rental payments. Every other successful business if focused on happy clients (as that is where the repeat business comes from). It is no different for us.